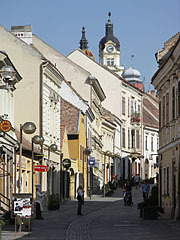 Pécs is a gay and lively city in the Southern part of Hungary with a busy cultural life, events and hundreds of sights. The different eras of history mingle in the architecture of the city in a remarkable way. There are traces of the Roman age, the Renaissance culture blooming at the time of Janus Pannonius, the Turkish occupation and the Baroque architecture. The hot streets and the oleanders lend the city a Mediterranean character in the summer season. Meanwhile right from the inner city you can see the side of Mecsek Mountains, where cool woods invite hikers. As for its history, Transdanubia used to belong to the Roman Empire under the name of Pannonia. Pécs, under the name of Sopianae (marshes in Latin), was the capital of the four territories. The storms of history swept through the city several times. There were occasions, between great wars, when Pécs was a place of tranquillity for hundreds of years. The original name of the street used to be Káptalan Street. However, there are more museums than houses in it, so the street was renamed. Fortunately you can see a lot of interesting things within a short walking distance. 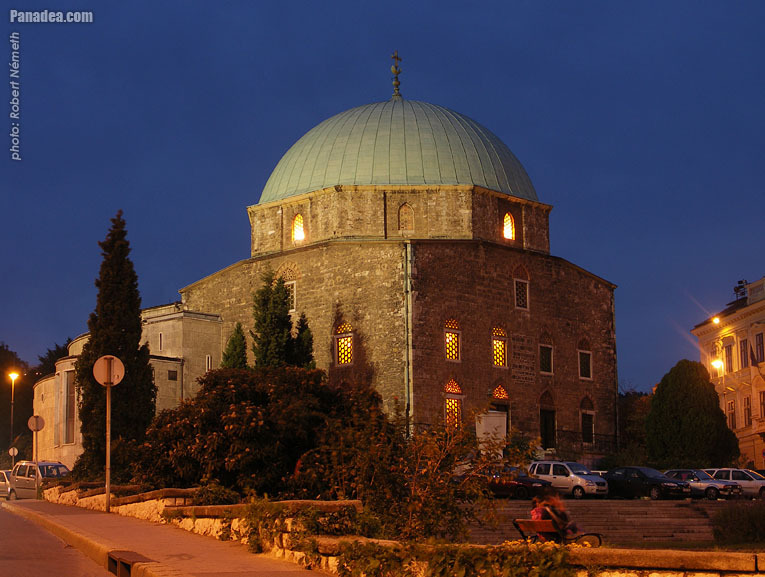 The most important piece of Turkish architecture in Hungary is located on the main square of the city, and now it serves as a Catholic church. 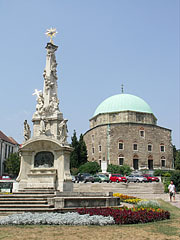 Louis I, the Great, founded the first Hungarian university in 1367 here in Pécs. 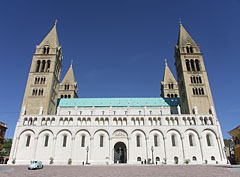 Its former buildings were near the Cathedral. 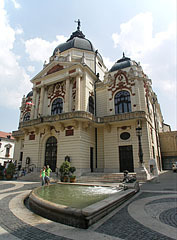 It is not only the theatre of the city, but is also one of the country’s most dignified theatres. 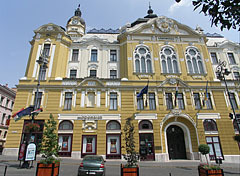 This is the main venue of the annual Pécs National Theatre Festival which has been held in June for more than 20 years. 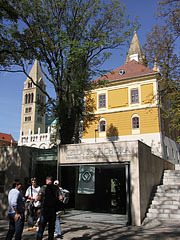 Under the St Stephen Square Park there is the burial ground of the former Roman city of Sopianae with early Christian graves and chapels from the 4th century. The so called Korsós Tomb, a Paleochristian mausoleum is such a rarity in Europe, except in Italy. As a result the city was admitted to the list of World Heritage of UNESCO. The renovation is still in progress, so the buildings already excavated can only be visited temporarily. In Király Street, the Caflish Confectioners, established in 1789, has already served thousands of guests during the years. 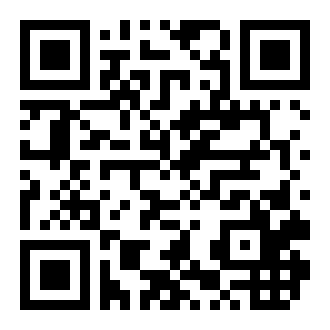 The place is still open, so it really is worth a visit to make sure why it has been such a success. It is uncertain for how long padlocks have been gathering, but it is certain that in the middle of the ‘80s there were padlocks here already. They can be found in the small street connecting the mosque on Széchenyi Square and the Cathedral where they hang from a practically purposeless ornamental fence. Originally it was the students of the neighbouring secondary school who hung the padlocks of their rooms after their successful school leaving exam. This custom has been taken over by those who wish to express their togetherness for ever. Since there is not enough space on the fence, padlocks have appeared at other parts of the city as well.